Before arriving at the international airport of Bangkok, you will have a tough time deciding which of its beautiful islands are to be visited during your vacation in Thailand. These fascinating islands are among the attractions of Thailand that tourists never like to miss, while holidaying in this part of the world. 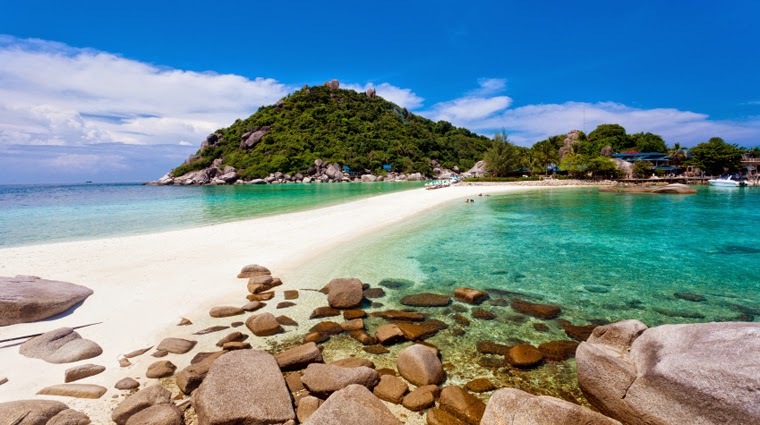 On the Thai tourist map, there are three major islands, namely, Ko Pha-Ngan, Ko Samui, and Ko Tao, which catch the attention of travellers instantly. The Ko Pha-Ngan island is most popular with travellers among the three islands, as it offers them the opportunity to have a memorable full-moon party. Such parties begin late in the evening and continue till midnight. The fantastic Ko Samui island is another exciting destination for you to enjoy a vibrant nightlife. Chaweng is most popular among its beaches, as it is the longest beach on the east coast. Ko Tao is an island that would take away all your worries with its white, sandy beaches and a host of activities to enjoy, such as, snorkeling, rock-climbing, scuba diving and hiking. The serene environs of Ko Tao make it an ideal island to escape the bustling crowds, while the swaying swaying palms near its beach are a delight to watch. If you are a vegetarian planning a visit to Thailand, the 'Phuket Vegetarian festival' would be a great festive season to savour some delicious vegetarian dishes of the country. This festival, which is a grand treat for vegetarians, is normally held during the period between 24th of September and 2nd of October in different parts of Thailand. 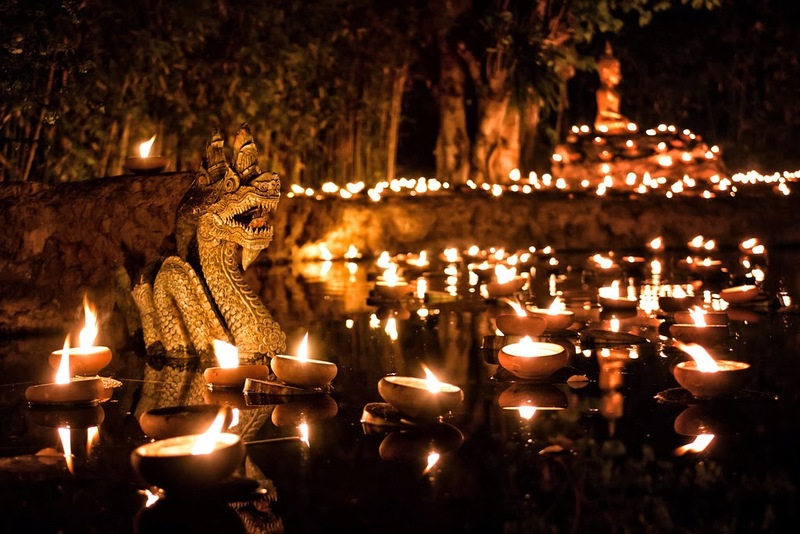 Although this festival is celebrated across the nation, the celebrations in Phuket attract most of the tourists visiting the country around this time of the year. Phuket is one of the fabulous travel destinations of Thailand, with picturesque natural surroundings and beautiful beaches. The nine-day vegetarian festival is celebrated by organizing parades and completely avoiding non-vegetarian food, in order to pay homage to the nine gods of Chinese origin. Besides its religious significance, the festival is also a means of purifying one's body and soul by eating only the vegetarian food during this period. Phuket has around 40 Chinese temples and all of them participate in this festive season. Some of the important events held during this festival are 'Horse Chariots' and 'Ma Song'. Tourists can book their accommodations in any of the popular hotels in Phuket while touring Thailand during the Vegetarian Festival. This enables them to have comfortable stays and the required convenience in getting to places where all the grand festivities take place. While planning a vacation to one of the most exotic travel destinations, many of the tourists consider making a trip to Thailand. Travellers of the past have described this amazing country as 'the land of smiles', and there is a lot of truth in this sobriquet. Gifted with some of the most charming tourist attractions and thrilling experiences, people travelling to Thailand would truly enjoy their time spent in this country. The rich cultural heritage of Thailand can be explored with some awe-inspiring historical attractions that include temples, heritage structures, and wonderful art forms. Most of the budget travellers book condos in Thailand to have greater savings, which they utilize while exploring the prominent places like Ko Samui island, Ayutthaya, and Bangkok city. Tourists must never miss out Pattaya and Phuket during their time spent in Thailand, as they are among the must-visit destinations of the country. Another interesting destination that travellers would like to visit during their holiday in Thailand is Chiang Mai. It is the largest city of Northern Thailand, and is famous for its cultural offerings. With more than 300 Buddhist temples and the presence of famous museums, it offers a variety of options in cultural attractions for travellers. Pattaya invites you with its never ending food options and an ever maddening opportunity to relax at its beaches. You could spice up your vacations by renting some of the best available accommodations which are near the beach. A major attraction at Pattaya is to get the most popular Thai massage at one of the traditional massage parlors. Sightseeing options include Hat Ta Waen Beach, Pattaya Elephant Village, Mini Siam and Temple Chai Mongkhon. Phuket, another favourite among tourists, is around eight hundred sixty km to the south of Bangkok and can be easily accessed by road or by air. This enchanting island has fun for every age with varied choice. It is more than just forest, sea, and world renowned diving sites blessed with some of the most beautiful beaches in Thailand. Experience the zest of sea, sand and absorb the warmth of the beaches while relaxing at one of the beach fronts. Weather at the island is perfect with list of activities to be explored at its shores. The blue waters of the Andaman Sea invite tourists for some of the adventure activities like Scuba diving, snorkeling and surfing. World class diving facilities are available at Phuket and it is said to be one of the top ten scuba destinations in the world. Water Park at Khatu waterfall offers endless fun and entertainment activities at its wake-boarding rides. Even though Thailand tourism mingles around these two top notch attractions there are many other destinations to enjoy. Pattaya, an exotic city in Thailand, has become extremely popular among numerous tourists and expatriates over the years. It is located about 147 kilometres to the south-east of Bangkok. This city was a sleepy fishing village until the 1960s, but gradually became popular after the arrival of American servicemen during the Vietnam War. It gets millions of visitors coming from different parts of the globe every year, and is home to Asia's largest beachfront shopping mall. Tourists would find many places that are worth exploring during their time spent in this city. 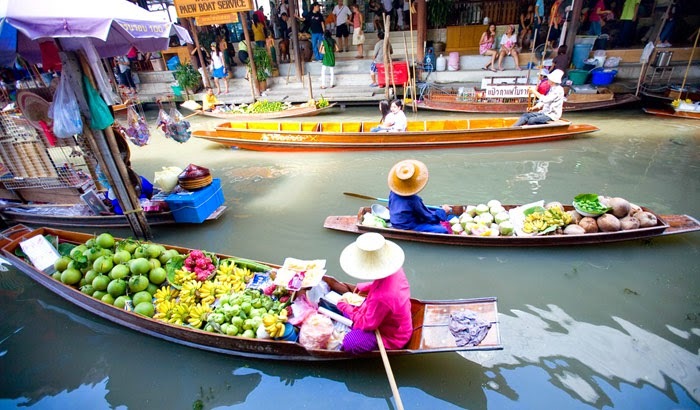 Among the places that are recommended for travellers is the Pattaya Floating Market. It is a great tourist attraction and an excellent place for tasting traditional Thai food. While getting around the city, tourists would come across a unique sightseeing spot called the Bottle Art Museum. They can find various types of artwork created using bottles in this museum and also participate in a presentation given by the staff members. Suan Chaloemphrakiat, also called the Fitness Park, is another great place that has multi-purpose grounds, winding trails, and large varieties of flowering plants. Wat Phra Yai, or the Big Buddha Hill, is a place where travellers can witness a huge gold-coloured statue of the Buddha. Booking a condo in Pattaya would not only give tourists the chance to have a memorable stay, but also make it convenient for them in visiting the desired attractions. 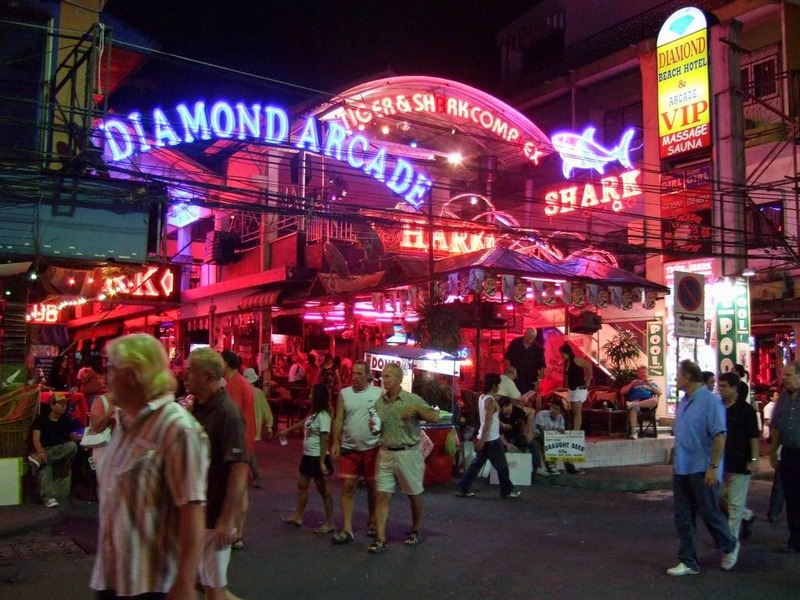 The tour of Pattaya would be incomplete without a visit to Pattaya Walking Street, a place which has plenty of offerings in store for travellers. It stretches from the Beach Road to Bali-Hi Pier, and is completely free of vehicles from 6:00 in the evening to 2:00 am. Tourists can enjoy a variety of Thai cuisines in the seafood restaurants and have some soothing drinks in the bars. 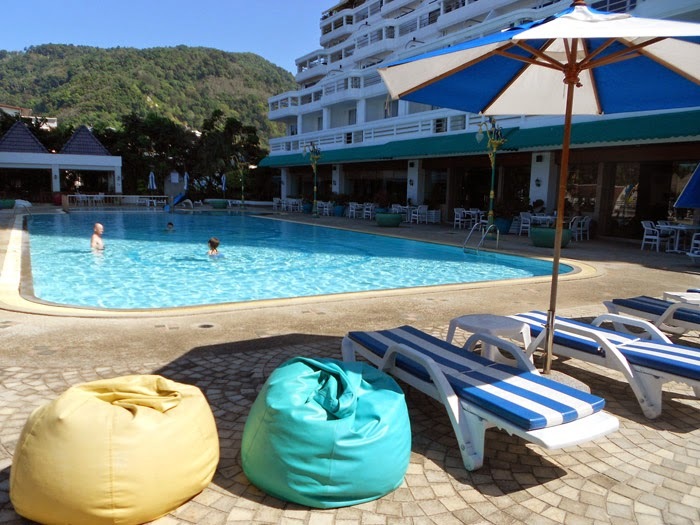 How about being a neighbour to the world famous Patong beach to share all the fun and happiness? This is the feeling you get while staying in fully-cherished sea-facing condos of the Patong Tower, Patong that go easy than any hotel or resort. 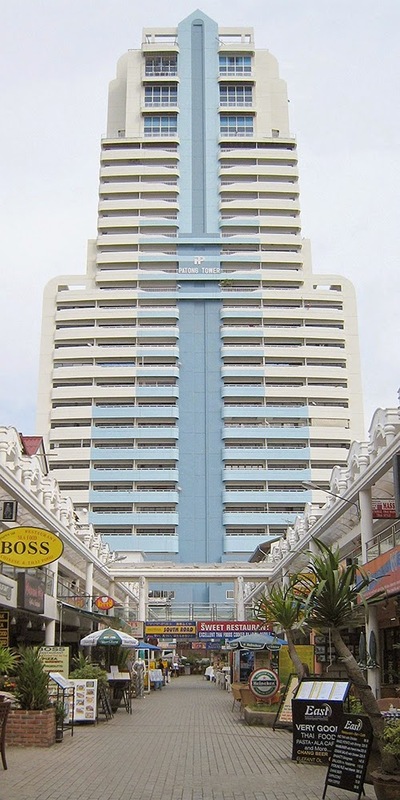 Thailand's opulence 'Patong Tower' is one-of-a-kind 32-storey sea-view residential condominium in the heart of Patong, Phuket, very near to the world famous 'Patong Beach' that offers most splendid panoramic views of the Patong bay that can't be found anywhere else in Phuket. With growing demand among tourists for renting condos are the best way of accommodation in Thailand's fast and multi-colored lifestyle. 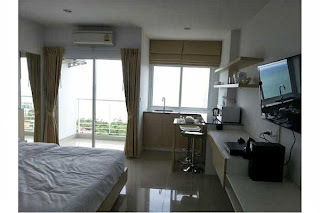 The tourist tradition of renting condos in Patong, Phuket save a lot than expensive hotels and resorts and connect you well with the beach area and enticing nightlife of the Bangla Road, just a minute walk away. Keeping this in mind, we at United-21 Thailand have crafted spacious and luxurious condominiums that will make your every moment special with connectivity, hospitality and comfort as our USP. Whether you are prefer mountain or ocean views, or simply want to enjoy majestic sunsets from your balcony over a coffee with your loved one all year round, you can have it all the best of Phuket nature and the charismatic essence of Andaman waters here. 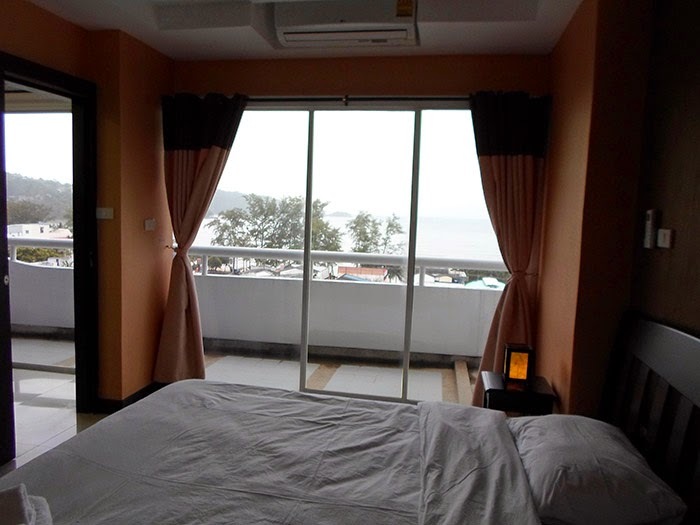 United 21 Thailand's furnished duplex accommodations at high-level of the Patong Tower offer one-bedroom apartment with mountain view, one-bedroom apartment with sea view, two-bedroom apartment with sea view, very close to the Patong beach where all the modish action happens. 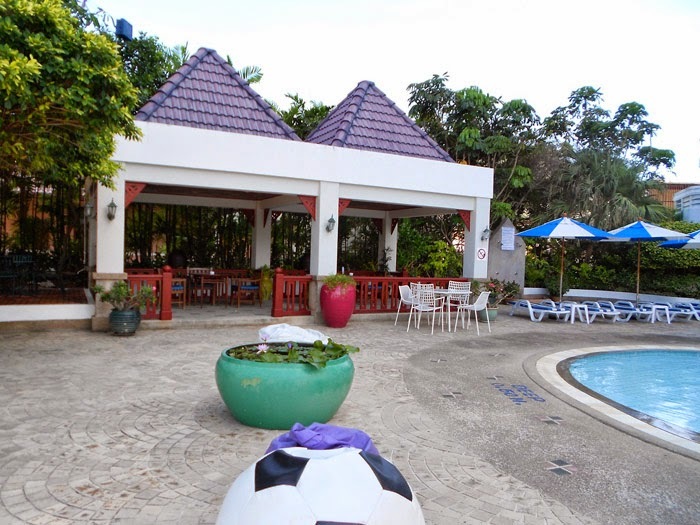 Our Patong Tower condos are also very nearby to numerous restaurants and pubs, great for hang-outs and socializing. These fully-equipped condos come with modern facilities including free Wi-Fi, air-conditioning, satellite & cable TV, Mini bar/fridge, Direct-dialing telephone, Kitchenette, Bathtub and more for all your home-like fun and comfort. 24/7 Hours help desk and security guard service is always available to assist and provide help to all rental holiday guests. See it to believe it! please visit http://www.u21thailandseaview.com/. With so many variety of accommodations to choose from and being close to the Patong beach with fun avenues around full of para-sailing, cable skiing, sizzling Thai cuisines, bowling, batik painting, go-karting, elephant trekking and more, a stay at United-21 Thailand readies and allows you to discover Phuket marvels happening to you in perfect moments. Whenever tourists think of a place which would make them forget their stressful routines and unwind in the midst of fascinating landscapes, they are instantly reminded of Thailand. It is a country where travelers can enjoy a variety of experiences. There are numerous places to visit in Thailand for the ones who wish to explore its wide range of offerings. While every place has its own distinct features, one thing that people coming to this wonderful land would notice is that the country has taken immense efforts to ensure a good balance between traditions and modernity. For exploring all the desired locations in this country, it is obvious that tourists would need a comfortable place to stay. For people who wish to have a luxurious accommodation, there are many elegant hotels in this part of the world. Those who intend to cut down their travel costs, a budget Thailand condominium would be an ideal choice. These condominiums, or condos, as they are popularly called, offer all the modern amenities in them. What really surprises budget travelers is that they provide excellent facilities to the guests despite the lower rates. This is one of the reasons why numerous tourists prefer an accommodation at condos over the expensive stay at hotels. Hospitality of Thai people leaves a lasting impression on tourists who visit the country from different corners of the globe. Travelers who book condos in Thailand would get an opportunity to experience the heart-warming friendliness of the staff members. Most of these condominiums are located close to the well-known attractions, which gives tourists the convenience in visiting them. Lower prices would also mean greater savings, which can be utilized while shopping at the popular spots. Whether it is business or leisure, travelers can always have a great stay by booking a condo for their trip. Visitors to Thailand would come across a nation that is striving hard to achieve a good balance between traditions and modernity. There are lots of places to visit in Thailand for travelers, and most of them are finest examples of the country's rich cultural heritage. Climate of this land best suited for travel throughout the year, which gives another good reason for travelers to explore this magical country. Bangkok, its capital city, is fast becoming one of the major centers for business owing to its geographical location in South East Asia. 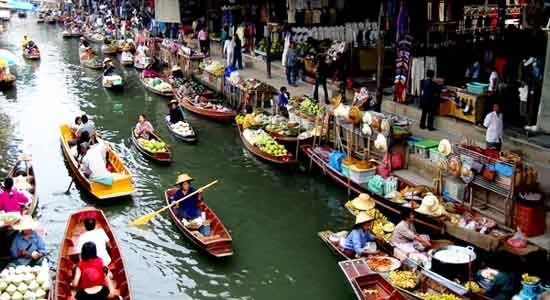 Excellent connectivity to other parts of Thailand from Bangkok would enable tourists to visit their desired locations in the country without any hassles. Choices in travel destinations are many, but there are some popular regions that tourists would like to explore during their time spent in this country. After having a wonderful time in Bangkok, travellers can visit many Thailand attractions that are housed in some of the ancient cities like Chiang Mai. Those who wish to enjoy some serenity and taste the local varieties of fresh seafood can find the Hua Hin region quite exciting. Phuket is well-known among tourists coming from different parts of the world for its amazing natural landscapes. Pattaya, Koh Samui, Chiang Rai and Krabi are some of the other places that are worth visiting for tourists. Travellers to Thailand can enjoy a world-class accommodation provided by many elegant hotels and resorts that have come up in different parts of the nation over the years. Budget travellers are always in search of places that would not only offer them a comfortable stay, but also leave them with greater savings. 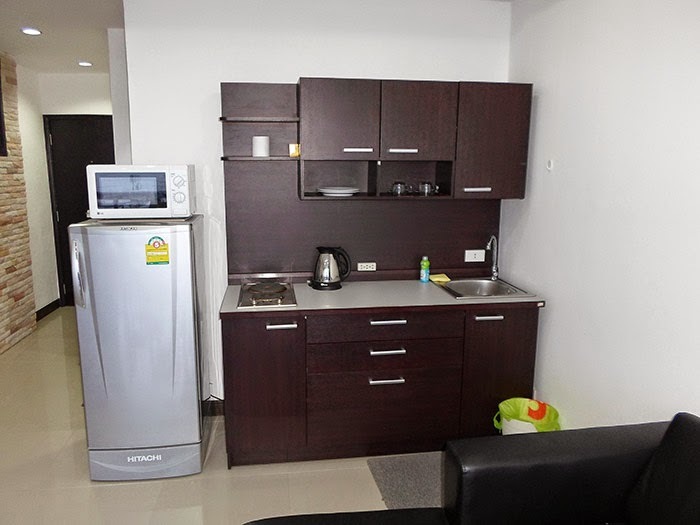 A budget Thailand condominium can be an ideal choice for these tourists, as they are provided with the latest facilities at lower prices, such as, air-conditioning, electronic safe, Wi-Fi connectivity and laundry. Once considered a developing nation, Thailand has now become a middle power, especially in the Asian continent. There are many reasons why tourists visit this country in large numbers every year. A rich cultural heritage, pleasant climate and an amazing diversity are some of the qualities that make it immensely popular among travellers worldwide. The rapid economic growth has also made it one of the major centers for business. A budget Thailand condominium would not only provide tourists with a comfortable place to stay, but also give them greater convenience while visiting the popular attractions. Efficient infrastructure in this part of the world makes it easier for tourists to get to their preferred locations. Thailand is served by major international airlines, which facilitates the arrival and departure of tourists coming from different parts of the globe. Getting around the country is much easier and cost-effective with the availability of domestic flights, trains and buses. Villages and small towns are linked by an excellent network of roads, and tourists can visit some remote locations in this land with the help of buses and 'Songthaews'. Travellers can book condos in Thailand near such which regions?? This sentence doesn’t make sense! regions and reap the benefits of staying closer to some of the most marvellous natural surroundings. Thailand offers a wide range of choices when it comes to travel destinations for tourists. Almost all the towns, villages and cities are full of incredible contrasts between tradition and modernity. Thailand houses some of the most beautiful beaches in the world that are never to be missed by tourists visiting the country. These beaches are set against the backdrop of scenic natural landscapes and visitors often indulge in some exciting water-sports and enjoy delicious seafood served in the restaurants nearby. Staying in any of the Thailand seaview condos would enable tourists to enjoy a walk on the sandy beaches whenever they desire. Travellers on a tour of Thailand discover many things about this amazing country, which has become a favorite destination of numerous tourists. Infrastructure of this country has improved to a great extent over the years, resulting in an efficient system of highways, excellent railways and cleaner roads. People of this land are extremely friendly and always wear a pleasant smile on their faces, especially when greeting someone. While staying in luxury apartments for rent in Phuket for a certain period of time, tourists can know more about the rich cultural heritage of this country. People visiting Thailand would have no dearth of choices when it comes to some of the most amazing tourist attractions. Every street and lane in this country is a contrast between traditions and modernity. Where there are golden temple spires on one side, tall skyscrapers dot the skyline on the other. 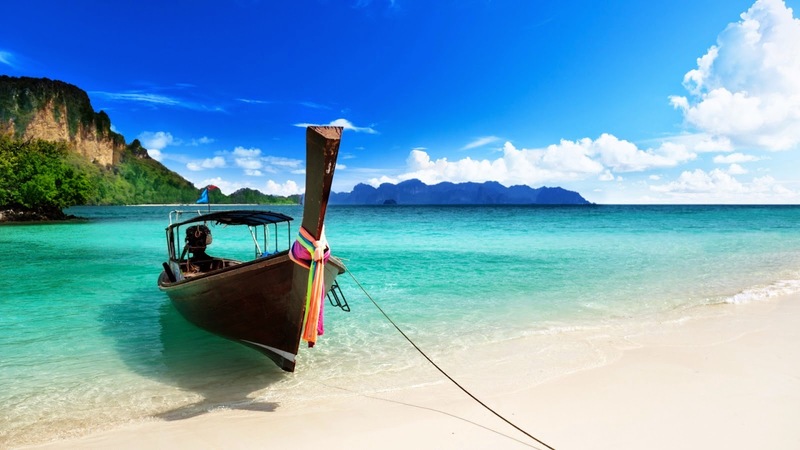 Thailand also offers some exciting tropical islands with mountainous forests and fertile plains. During the rainy season, most parts of the country are covered with vast expanses of greenery. A budget Thailand condominium would allow tourists to experience all these wonders during their stay. Among the most exciting places to visit in this part of the world are Bangkok, Chiang Mai, Phuket, Koh Samui and Pattaya. For visiting all these places while spending a pleasant vacation in Thailand, it is essential that tourists book condos in Thailand for cost-effective stays. Upon renting condominiums or condos, travellers can save big time on their accommodation while enjoying all the modern facilities.Condominiums are comfortably air-conditioned, and are provided with many amenities like television, DVD player, electronic safe, dining area, refrigerator and telephones. Guests of condos can also benefit from a host of other facilities like 24-hour front desk, fitness center, wi-fi internet access, doctor-on-call, swimming pool, car rentals and laundry. 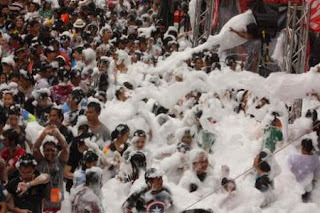 The Songkran festival marks the New Year in Thailand, which is celebrated from the 13th to 15th of April every year. It is believed to have been adapted from the Indian festival of Hindus, called 'Sankranti'. The importance of Songkran festival is apparent from the fact that it coincides with the traditional New Year of many Asian countries. This festival has greater significance in Chiang Mai, where the festivities continue for more than six days. For Thai people, Songkran is a great occasion to spend time with their friends and family members. 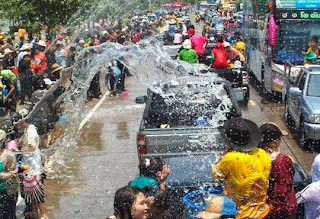 Tourists wondering how to celebrate Songkran day in Thailand would be delighted to know that this is the best time to mix with the local Thais. Other than the rituals that are observed during this festival, the most obvious celebration is the splashing of water on random passers-by. 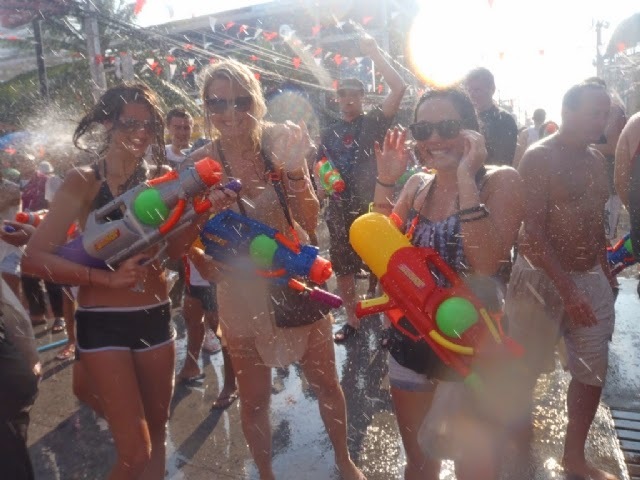 Even tourists get the opportunity to arm themselves with water guns or plastic cans filled with water and drench the bodies of strangers with water. 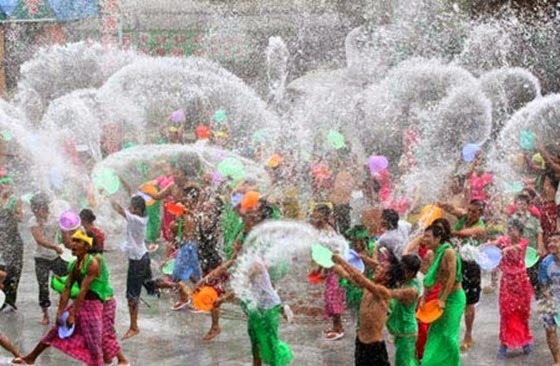 The celebration date for Songkran 2014 is 13th, 14th and 15th of April. People who are planning to visit Thailand around this time would have to book their accommodations well in advance. It is advisable for tourists to book a week-long stay or more, in order to enjoy the Songkran festival fully. A stay at United-21 Seaview condos would give them the convenience of attending the festivities of Songkran Festival 2014 in different regions. They would also enjoy some fabulous benefits like comfortable air-conditioning, dressing table, satellite television and much more. Thailand is a multi faceted, multi colored and multi cultural country inviting visitors from many corners of the world. Tourists find pleasure in its dazzling tourist destinations, exclusive topography, mind blowing beaches and serene historic monuments. In spite of all this the country is also well known for some of the exclusive festivals celebrated throughout the year. Festivals of Thailand can be divided into religious festivals, harvest festivals, national festivals and food festivals. 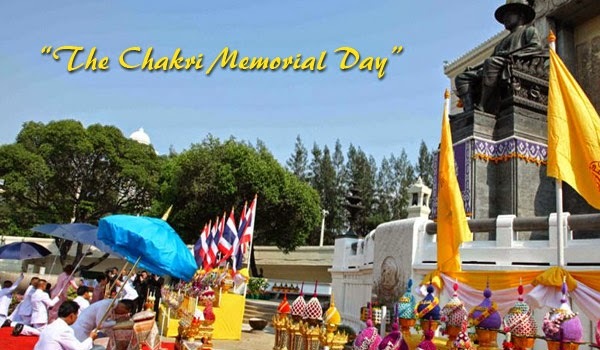 Among this long list of festivals one important event celebrated on a national level is Chakri Memorial Day in Thailand. 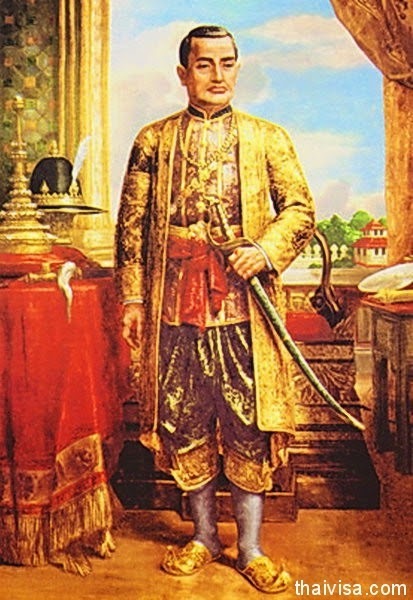 It commemorates the establishment of Chakri Dynasty in 1782 by king Rama I. In remembrance of this graceful occasion, during this day national flag is displayed by the masses. Huge ceremonies arranged during this day are attended by government officials as well as members of community. In these ceremonies high gratitude is shown by offering flowers and garlands to statues in the house of Chakri. Thailand is ruled by series of Chakri dynasty kings in which Bhumbol Adulyadej is the current king, popularly called King Rama IX or the ninth king of Chakra dynasty. King Rama I founder of the Chakri dynasty built the most popular Grand palace in which Emerald Buddha is kept. During Chakri Memorial Day a royal event is organized, in which the present king pays respect to the first king and founder of Chakri dynasty. Chakri Day was celebrated for the first time on 6th of April 1782 and every year it is celebrated on the same day. It’s a great thing for the visitors to be present in Thailand on this very special day. Visit Thailand during this day and witness the awesome official as well as public celebrations of Chakri day. Enjoy your Thailand holidays during this festive period by staying in United-21 Seaview Condos located at major tourist destinations of Thailand. United 21 Seaview Condo Balcony View, Thailand.. Want to get easily accommodated in Thailand? 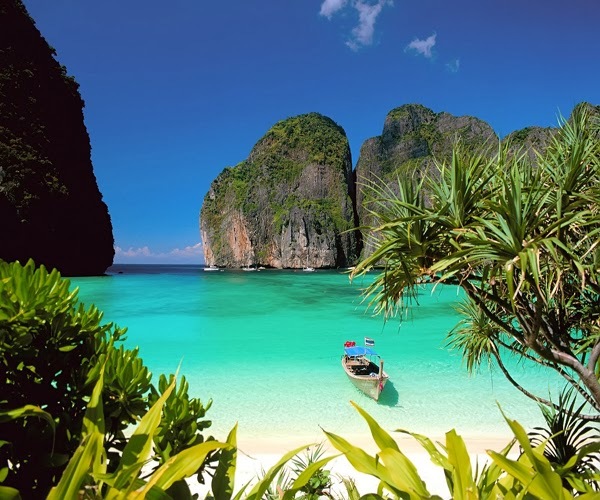 Phi Phi Island: This beautiful island embellished with beaches bordered with white powdered sand and dark bluish waters has a splendid location in the middle of Andaman Sea. 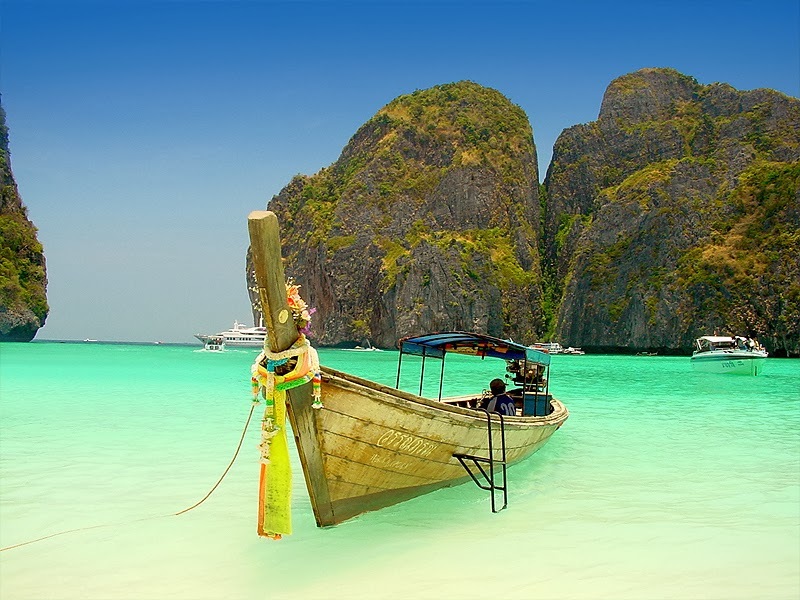 The island which can be approached from Krabi and Phuket town has the popular Maya Bay. There are many resorts located at a close distance. It offers a chance to enjoy world class diving at a most precise rate under the supervision of instructors. The island is like a limestone formation coming above surface of water. This is the best place to enjoy snorkeling, scuba diving and riding long boat tours around the island. 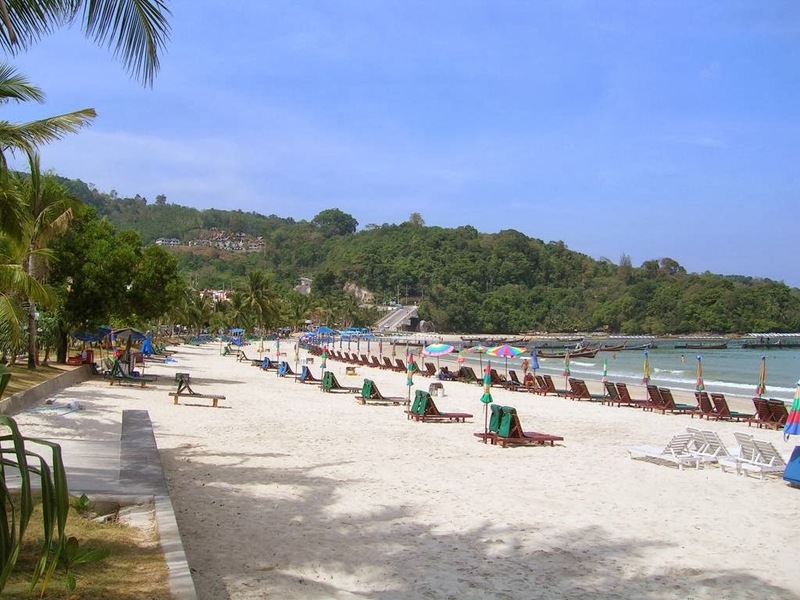 Patong: This name is referred in context of the town as well as the popular beach located on west coast of Phuket. This popular tourist resort is well known for its shopping opportunities and the undisputed nightlife engulfed in its locations like Bangla road and paradise complex. There are innumerable discos, nightclubs and go-go bars. It is popular among westerners as the best place for merry making and partying. As the sun sets patong dazzles with neon signs and a bustling nightlife experience. There are many other attractions to visit like its waterfalls, rainforests, flying hanuman, tiger kingdom and the kathu mining museum. Ratchaburi: It is full of opportunities for the visitors like strolling in its floating markets, ancient caves, temples and above all the charming women ratchaburi a historical town concealing myriads of historical evidences. Its diverse topography listing Tanaosi Mountains in the west and lowlands in the east provides lots of historical sites and natural attractions. You will have a chance to get close encounter with the awesome natural beauty as well as the mixed Thai culture. 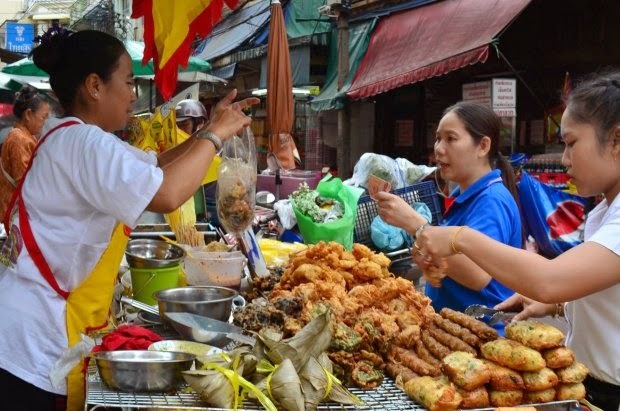 Visit to Damnoen Saduak a well-known floating market, should not be missed during your tour of this region. Other best places to visit in Thailand include Bangkok, Ayutthaya, krabi, Kanchanaburi, chon buri, Phang nga and Sukhothai. Thailand welcomes its visitors with hoards of attractions and its homely places of accommodations. The latest in the series of comfortable accommodations are the condominiums available at major tourist cities. During your visit of Thailand you can book one of the condominiums for rent at united-21 Thailand and enjoy a pleasant stay, which is the only cost effective alternative. Visit United-21 Thailand for Booking Budget Apartments for Rent at Phuket, Thailand. Thailand is blessed by nature with a unique topography which consists of mountains, rivers and some of the top beaches which are bringing thousands of tourists to its popular islands. Tourists admire its diverse nature and culture, which has made this country a topmost attraction of this region. This heart of Southeast Asia invites its guests for a exclusive stay at its popular destinations each having its own charm. Friendly people of Thailand mostly believers in Buddhism are tolerant towards other religions and welcome tourists and visitors for knowing more about fundamental techniques like meditation. Spread of Buddhism in this region has left its marks on the lifestyle as well as its way of celebrating some auspicious moments in life. Fairs and festivals keep a prominent place in the life of these people and they celebrate these occasions with lots of pomp and gaiety. 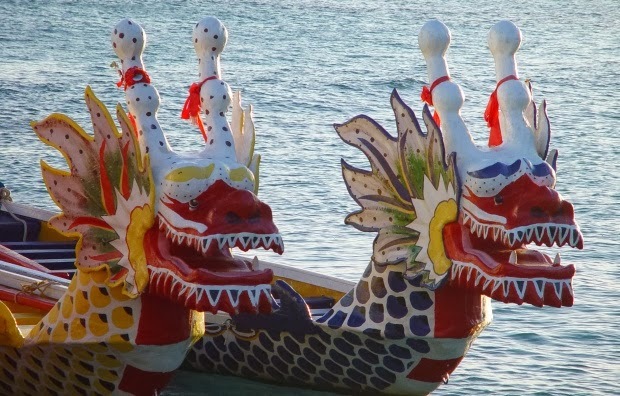 Among the many colourful festivals of Thailand Boat race is one of the charming events, which create lot of anxiety among the participants as well as the spectators. This destination gifted with islands, rivers and canals organizes spectacular events of boat race called Dragon boat race conducted normally in the month of September. This is the time when the rivers and waterways are brimmed up with water to their full capacity and are favourable for the boat races. Some of the provinces in which these races are held are Phitsanulok, Chumphon and Phichit. This ancient long boat racing festival is now looked upon as a favourite sports on the river banks. The venues of these boat races become awesome during this time when the riversides are full of spectators eager to watch the colourful men navigating the beautiful long boats. Its pure entertainment listening to the shouts and cheers from the crowds, accompanied by an ambiance full of enthusiasm and happiness. Getting an accommodation during these festivities is somewhat difficult but you can approach the cheap condos for rent in order to witness these festivals. Apartments for rent in Bangkok also serve as the best alternative and budget apartments in Thailand are the most revered economical residences on rent. 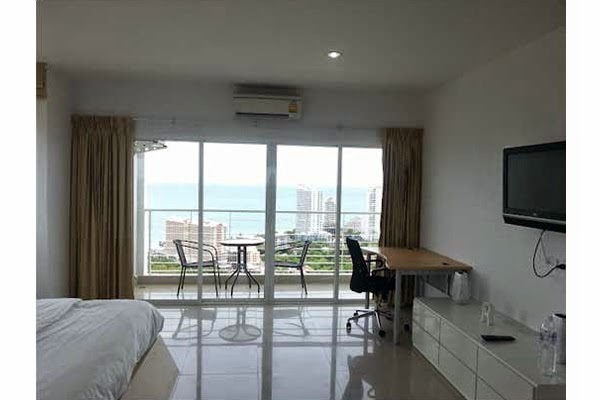 During your arrival if you are looking for a budget accommodation in Thailand then you can very well book United-21 Thailand condominiums, located in Bangkok and Pattaya. For these condos which are supported with many modern amenities and a long experience in hospitality online booking is available. Makha Bucha is a National Holiday in Thailand. Date depends on Lunar cycle. Makha Bucha is also called Magha Puja of Tabaung. It is a Buddhist event recognized on the full moon day on the 3rd months in lunar schedule. The festival is famous yearly in Thailand, Cambodia, Burma and Laos to honor the veneration of Buddha. In Thailand, Makha Bucha is recognized by having a candle light procession. For travellers visiting Bhimtal, United-21 Thailand Condominium offers comfortable accommodations at reasonable rates. 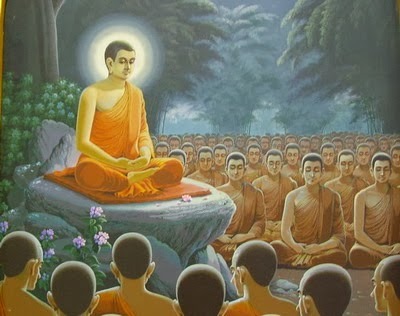 On the occasion of Makha Bucha Day, it wishes everyone a very Happy Makha Bucha Day! Thailand has a great historical and cultural past and it is the rich culture of Thailand, which makes the life in this region colorful as well as enjoying. This uniqueness of culture works like a magnet in attracting tourists to this land of thousand smiles and unending activities. Thai culture is mostly influenced by Indian, Chinese and the regional Thai life style. Buddhism plays a major role in the lives and lifestyle of the Thai people. 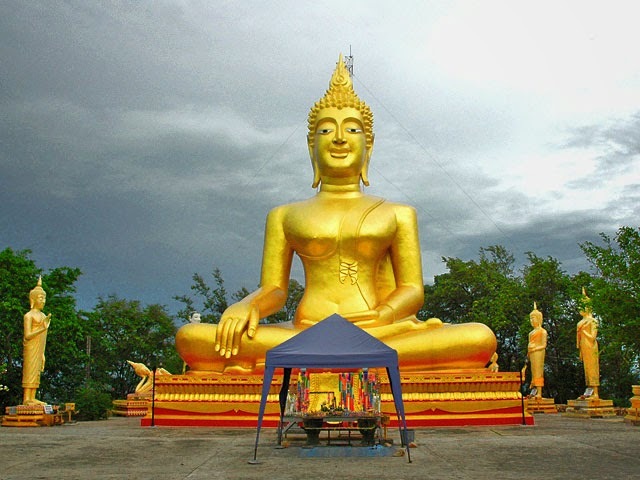 Explicit pagodas and Buddhist monasteries of Thailand preserving the spiritual traditions and ancient architectural marvels celebrate many incredible feasts and festivals. 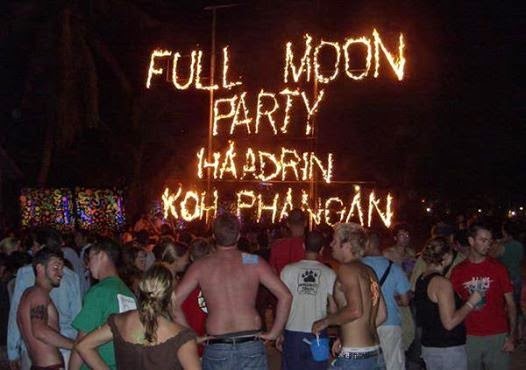 Some of the explicit festivals of Thailand are Phi Ta khon, Loi Krathong, Songkran, Ubon candle festival and last but not the least Chinese New Year. Among the many tourist’s attractions of Thailand, Chinatown is the most happening place where unlimited opportunities of tasting delicious dishes are awaiting. The bustling streets of Chinatown, welcome everyone for enjoying a day as well as a simmering night. This already entertaining place becomes more enchanting during Chinese New Year. The streets of Chinatown become vibrant during this period with hordes of worshippers, dragon dancers, and families tasting the crunchy food. This event celebrated in the month of January is supposed to be best for shopping because of the concessional rates and promotional offers. Popularity of this festival can be gauged from the fact that even though Chinese New Year is not a public holiday still people take a day or two off for getting involved in merrymaking. It is also time for prayers as well remembering your ancestors. A visit to relatives and friends with exchange of gifts is another routine of this festival. 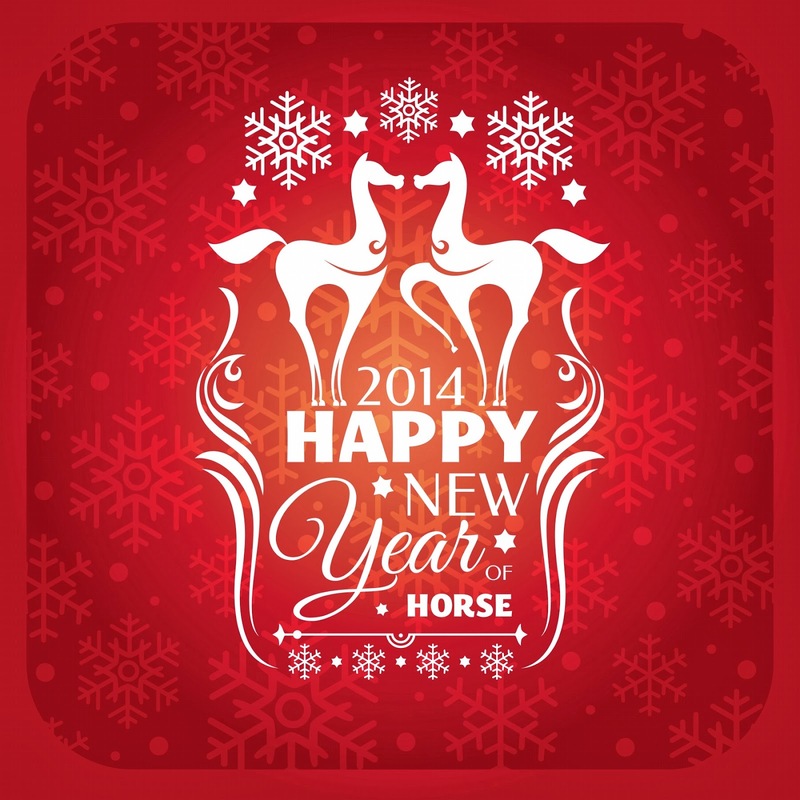 Chinese New Year 2014 is approaching fast which will be celebrated this year on 31st January. A latest addition to the type of accommodations in Thailand is the condominiums, which have become popular among tourists in a short span. United-21 Thailand condominiums at Pattaya, Phuket and Bangkok are studded with modern amenities and facilities. Budget condos in Thailand can be booked at the ease of a telephone call. While planning your future Thailand tour give a thought to the festive time of Thailand and if you are interested in taking a stay at one of the major cities like Bangkok, Phuket or Pattaya then book your accommodation in one of the condominiums, which provides spacious well furnished rooms, where families can stay together with ease and comfort. 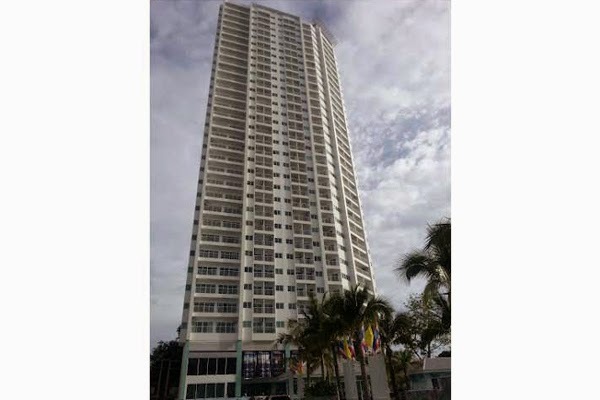 You can book United-21 Thailand condominiums online prior your arrival at this destination. Thailand a small island nation located in the Indochina peninsula in Southwest Asia formerly known as Siam has shown a great courage in developing itself in to a most modern tourist hub during last few years. Bangkok the capital and largest city of this country has brought its name among some of the worlds most visited destinations in Asia. The nation has well utilized its natural resources in a most creative manner in order to attract hordes of tourists throughout the year. Other reasons of increase in tourism can be attributed to the political stability of the region. Other factors being infrastructural development and overall improvement in tourist facilities at major places like Bangkok and Pattaya. Liberal atmosphere and availability of incredible tourist facilities is the secret of Thailand tourism. 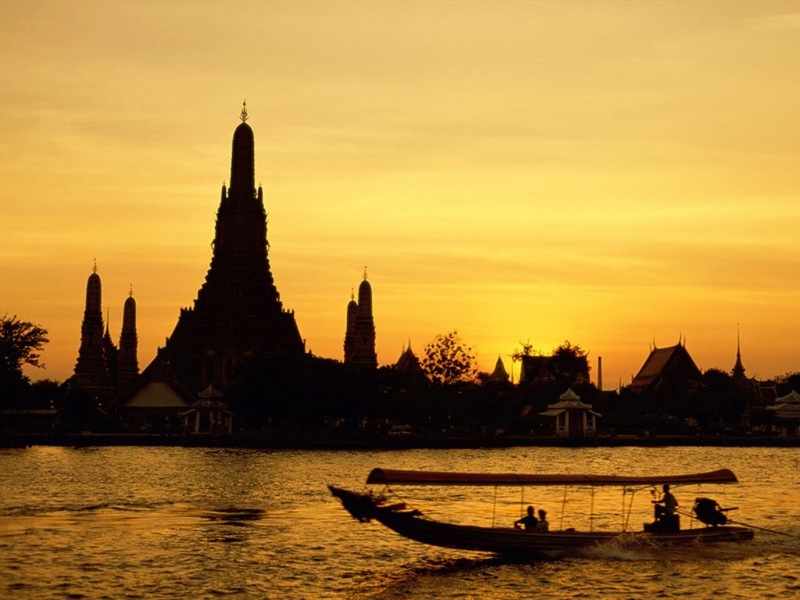 Bangkok’s vibrant street life, nightlife in its areas like Patpong and Khaosan and the ancient temples like Wat Pho and Wat Arun are the major attractions for tourists coming to this land of Buddha. Located in the Chao Phraya river delta in the central planes the city has additional advantage of deploying water transportation and boating facilities. Historic grand palace is one of the most popular tourist attractions of Bangkok. Budget condos in Bangkok are the modern means of renting comfortable accommodations at affordable cost. Just go through the features & amenities at United-21 Thailand condos at the time of planning your visit.